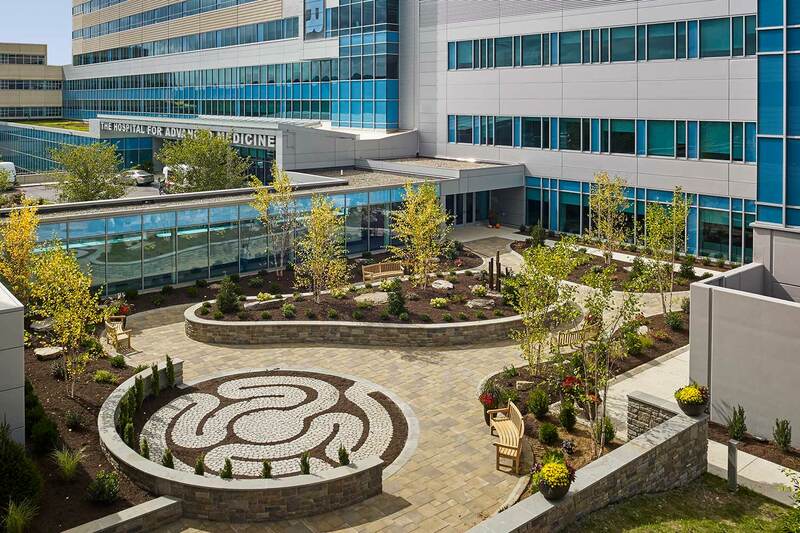 Geisinger Laboratory Medicine’s mission is to function as an integrated laboratory that is customer- and community focused, with service, quality, and cost-effectiveness as their highest priorities. 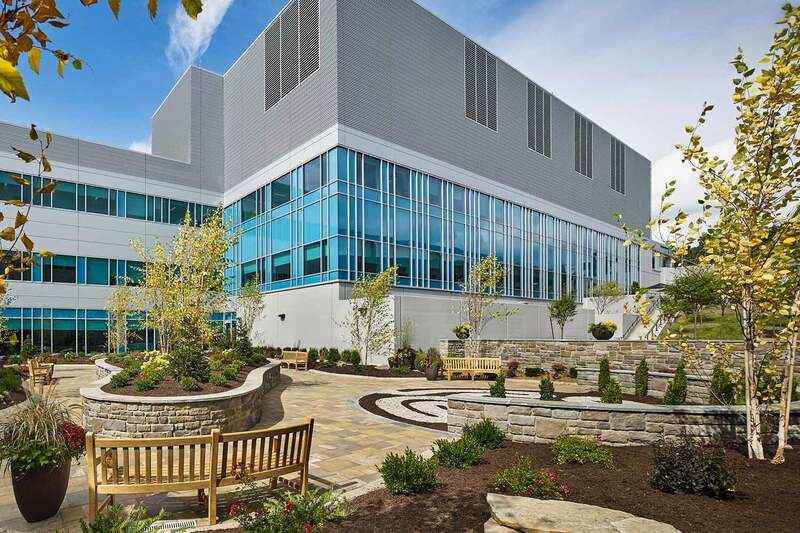 Having outgrown their current facility, a new building created an opportunity to be the laboratory of choice –delivering outstanding service and state-of-the-art science in a facility that fosters safety, efficiency, and collaboration. 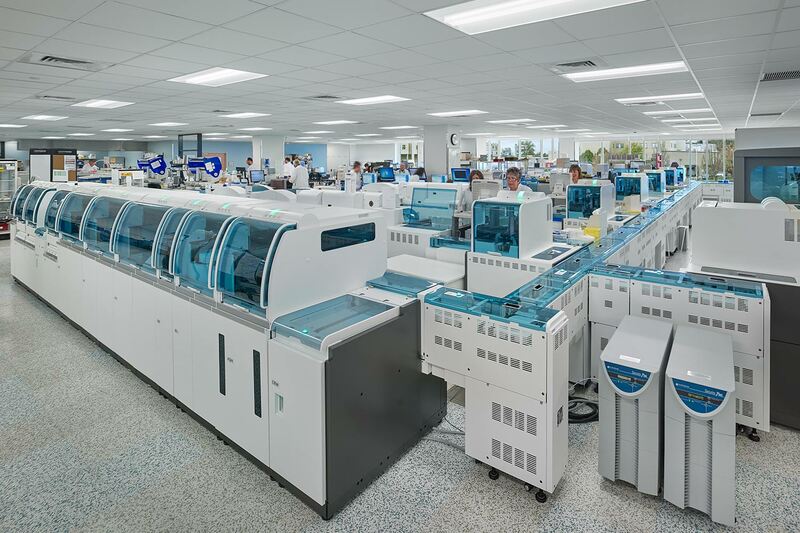 EwingCole planned and designed the new 115,000 sf a clinical pathology floor that offers open core lab functions and equipment. Enclosed containment and secure functions, including BSL-3, Microbiology, Molecular, Forensic and Toxicology Labs, are organized around the outside. Second floor anatomic pathology labs staff use communicating stairs to communicate easily with others. Lab grade access flooring allows power, data, and piped utilities anywhere below the core lab floor. 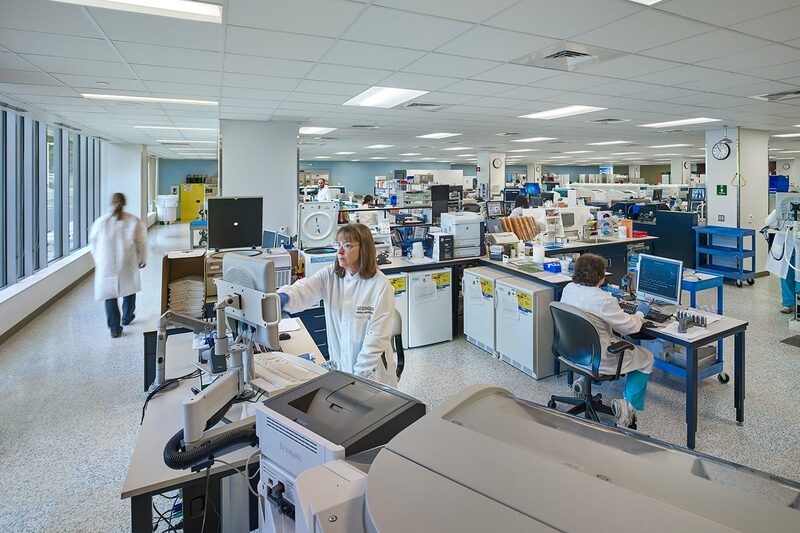 Modular lab casework can be easily changed as testing technologies advance and automated testing systems are installed. "I think we have actually achieved the ideal in terms of efficiency. This is something that’s been needed for a very long time."